Self confidence is pretty much an essential if you are going to enjoy success. It will increase your productivity. Without it you could be downright miserable or at best feel ‘flat’ most of the time. With a good measure of self confidence you are likely to be feeling happy more, if not most, of the time. By observation we have seen it and we know what self confidence can do for someone. If we don’t have it we know it would be nice to have. So how do we go about acquiring or improving this illusive thing called self confidence? There are ways that do not involve months of counselling and / or coaching. Some are easier to learn and put into practice than others. 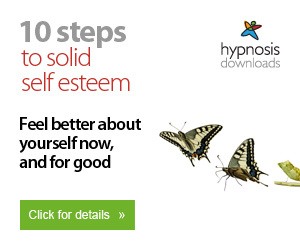 Here are a few simple tips that are effective and will help to boost your self confidence. One of the most common things that I hear is the ‘I can’t; do so and so, do anything right, make anything come together, close sales, please anyone…’ The list goes on. Next time you catch yourself saying to yourself or thinking that, please add ‘…like I used to or at the moment’. And then think about it for a moment. I can’t do something is an absolute statement as in you never have and never will. Avoid absolute statement at the best of time, more especially when they are negatively applied to oneself. Simply adding ‘…like I used to or at the moment’ implies that you have done it successfully on a previous occasion. That means you can do it again. So add another qualifier – ‘but I know I can do it’ and think of a time when you have done ‘it’ or something similar successfully. If it is something you have never done before why say ‘I can’t’. If you haven’t done it before then you just ‘don’t know’ rather than ‘I can’t’. 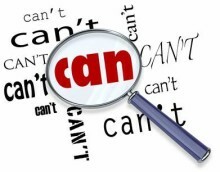 Whether you think that you can, or that you can’t, you are usually right. Henry Ford. Following on that theme – there are countless things you do well without being aware of them or having to think about them. Things that you do now on auto pilot you were once unable to do. Things like, cleaning your teeth, tying your shoelaces, etc. Next, think about the areas in your life where you are naturally strong and capable. Think of what you have done with your life up to this point. Make a list of at least five things that you have achieved, no matter how small or how long ago. Write them down. Review them. Remember how you felt when you achieved them. Be happy with what you have achieved. Remind yourself that you are an achiever. Focus on the positive in your life not the negative. Think and act positively. When an opportunity arises for you to step a little out of your comfort zone take it. Then congratulate yourself. Once you start thinking and acting in this positive manner you will find that your self confidence grows from strength to strength and fewer things ever hold you back.